Found 5 blog entries for July 2016. Wednesday, July 13th, 2016 at 1:12pm. Wednesday, July 6th, 2016 at 11:37am. 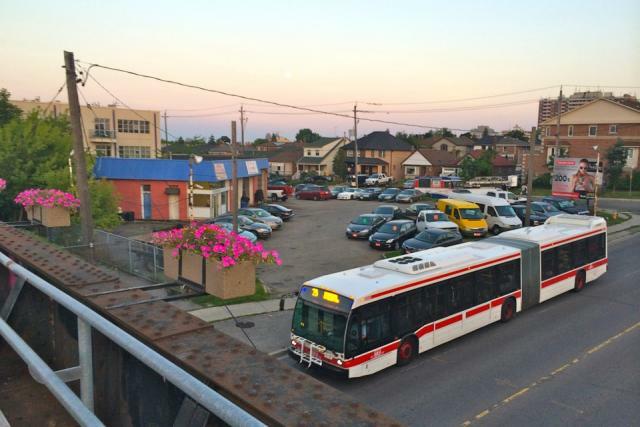 Construction of the Crosstown LRT is making more areas of Toronto attractive for redevelopment, and developers are finding undervalued properties to improve. One such site is on Dufferin Street, north of Eglinton Avenue where a new mid-rise development will soon be replacing a former auto repair shop. Wednesday, July 6th, 2016 at 11:32am. Briar Hill-Belgravia real estate features a variety of houses, townhomes with character and condos with unique layouts in a neighbourhood with quiet suburban streets close to all city amenities. With proximity to one of Toronto’s busiest streets, Eglinton Ave. and near Eglinton West subway station, a home in Briar Hill-Belgravia situates you in a property with convenient access to public transit to get around the city and beyond. Real estate in Briar Hill-Belgraviaoffers properties with walking distance to unique shops, restaurants and more along Eglinton Ave. and the surrounding area and is close to schools and parks including Fairbank Memorial Park. Tuesday, July 5th, 2016 at 7:50pm. SOLD in Upper Cornell! 3 bedroom/4 bathroom semi-detached home. Congratulations to my wonderful clients! Friday, July 1st, 2016 at 12:00pm. Engel & Völkers is growing in the U.S. and Canada, and we’re continuing to enter new markets in Europe as well. Here’s the latest. June proved to be a great month for Engel & Völkers as we increased our European presence, expanding our impeccable service in six new markets across Portugal, France, Spain and Germany. On the Algarve coast of Portugal, Lagos is one of the world's most popular seaport destinations, famed for its pristine beaches and world-class golf courses, and, here, license partner António Pinto Coelho opened the new Engel & Völkers Lagos.